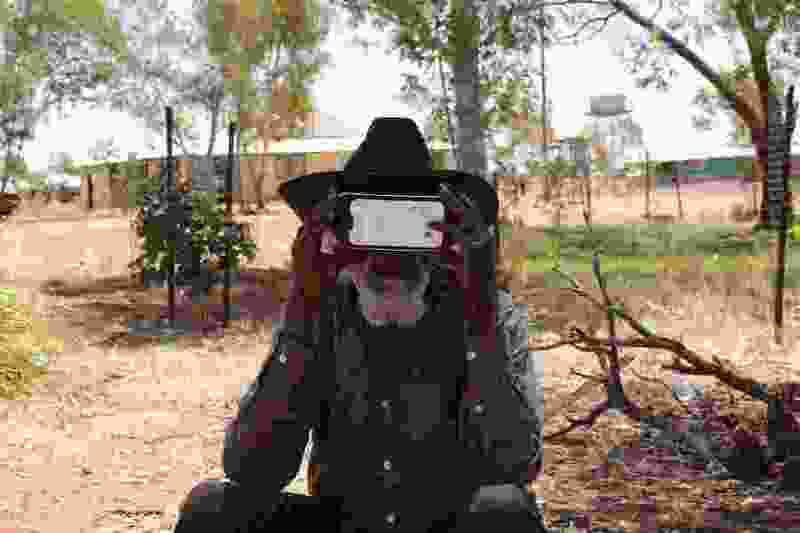 (Pete Brundle | Sundance Institute) Australian indigenous leader Nyarri Nyarri Morgan encounters a virtual-reality rig, in a moment from artist Lynette Wallworth's VR work "Collisions," which will be featured in the New Frontier program of the 2016 Sundance Film Festival. A Salt Lake City lawyer and activist, one of Hollywood’s hottest producers, a former Obama administration social secretary, and a pioneering artist in virtual reality have been named to join the Sundance Institute’s Board of Trustees. Sundance Institute announced the additions Monday. They will join 24 other trustees, led by Sundance’s founder Robert Redford and board president Pat Mitchell. • Ebs Burnough, former Deputy White House Social Secretary, developing and executing events for Barack and Michelle Obama. He now is president of Ebs Burnough Solutions International, a marketing, communications and event production firm. • Lisa-Michele Church, Salt Lake City attorney and activist in social justice, particularly for youth and women. Church will join Sundance’s Board of Trustees as a non-voting appointee of the Redford family. Snowboarding brought Gabrielle Maiden to Utah a decade ago. A new TV series playing at Sundance brings her back. • Lynette Wallworth, an Australian artist and filmmaker who has pioneered new storytelling technologies, such as virtual reality and mixed reality. Her installation “Evolution of Fearlessness” (2009) and her VR works “Collisions” (2016) and “Awavena” (2018) have all appeared in the Sundance Film Festival’s New Frontier program. Sundance Institute, founded by Redford in 1981, oversees labs for filmmakers, screenwriters, producers, musicians, documentarians, new-media artists and playwrights. It also organizes the annual Sundance Film Festival and sister festivals in London and Hong Kong, and provides support for independent artists year-round.